Seeking other crazy addicted viewers who endure a whole hour of nail-biting suspense on Thursday nights at 10:00 pm to discuss this ridiculously gripping series. Oh Lordy! I am so revved up after each episode and can’t believe what has occurred. How can I possibly go to sleep after it’s over? Not since Luke “raped” Laura on GH have I been so glued to a show! I can’t get enough. I tweet through the entire thing as my heart rate increases and I have difficulty breathing. Can we discuss tonight’s episode? So Mama Pope is a terrorist? How did Olivia know? Was it just from the memory of that phone call that asked for “Maria” (a different name than what Olivia knew?) Crazy that Papa Pope is actually a good guy and was just protecting Olivia. What is Quinn up to and will she crack in the end and stay loyal to Huck? Or did Huck torturing her change all that? What will she do to Papa Pope? And, OMG. VP Sally killing her gay husband? She’s obviously done with her race to presidency. Ouch. Will Cyrus and James survive THIS latest betrayal? I can’t stand it. I will have to wait until next Thursday for the finale! I was hooked after the 1st episode. In my opinion – this is the best show on network TV. This particular episode was full of so many shocks & complex emotional scenes. 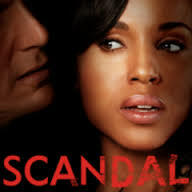 Watching this show makes me view everything that happens in D.C. so differently. Every press conference, statement, political move, etc. is never exactly what it seems, is it? I also wish I could wear lovely shades of cream from head to toe and and look so immaculate. I mean – she never even spills a drop of red wine out of a balloon goblet! I’m not watching yet, but plan on getting my grubby mitts on the back season DVDs soon and catching up. As soon as I start watching, I’ll come to you with all of my discussion points since I have a feeling we are going to have a lot to sort out. No tv here, but I know all about the show from things I read. I loved her turn as Oprah on SNL a few weeks ago. Nope, not familiar. Sounds like a soap opera. Ah, well then I might have to take a peek. Nooooo…. but have just finished “House of Cards” and started “Orange is the New Black.” Can I still be in our support group? You are always welcomed in any support group I have! I’ve heard great things about those two shows but haven’t yet watched! How does one keep up with all these great shows? Hahahaha-I don’t watch it, but your enthusiasm is awesome. Happy Friday Maria! I watched the first year then dropped it. But this season has pulled me back in to the point of obsession! My problem is a conflict with my husband’s viewing likes. This is the first year I have a DVR so I can record and watch it at my leisure. Every week I think the show has topped itself in the shock department – then I see the previews! I’ve seen the real “fixer” interviewed. My mind wants to know if circumstances are as extreme in the real world. I’m sure my sister-in-law will join. She never misses Scandal. 😀 I haven’t yet started! I am forever owned by that show. I don’t feel sorry for James at all. He is so power hungry, he would have cheated if it had been his idea and he knew Cyrus wouldn’t find out. It was a little disjointed in places, but by far, one of the best shows on tv.